The main hub for Batam spa and massage centres can be found in Nagoya Hill shopping district. 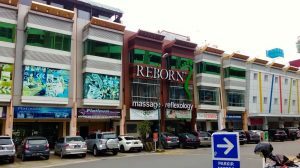 Other areas which you can find good quality spa and massage centres are Batam Centre and Baloi/Penuin. Massage is a traditional method of healing or therapy that uses hands, fingers, elbows, or sometimes even legs. The two most popular types of massages in Indonesia are Balinese & Javanese. 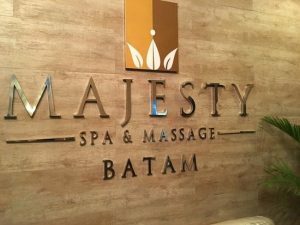 In Batam however, you can find all kind of massages, from Western (Swedish), Asian (Javanese, Balinese, Thai) to fusion spa sessions that uses Chocolate/ Wine as a treatment ingredient. Budget-conscious travellers, from only S$8 per person, you can get a 60-minute foot reflexology at a local family spa centre! 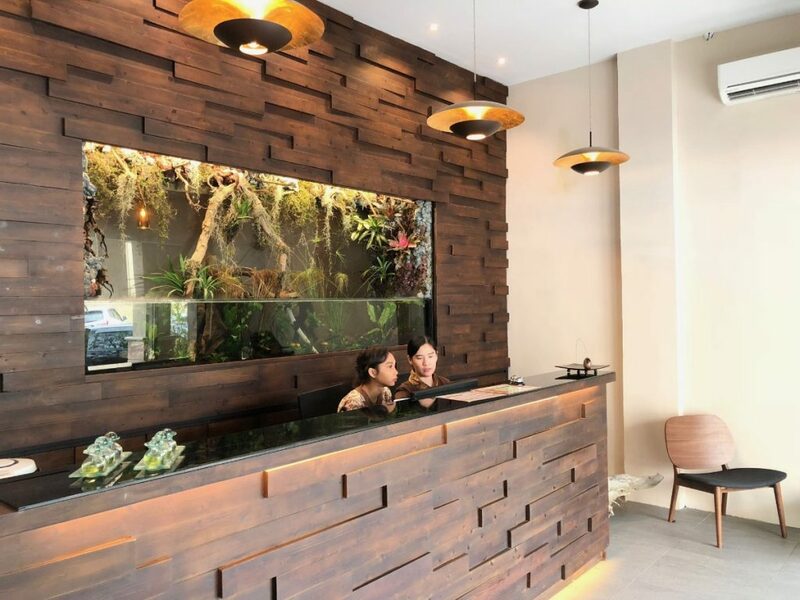 For a more luxurious experience, consider booking a 5-star treatment at one of the upmarket Batam spa and massage centres like the Montigo Resorts Spa (check out our review on Montigo Resorts Batam). 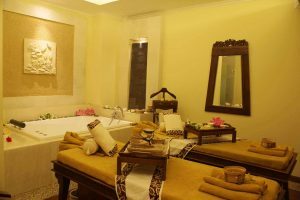 Try out Montigo Resorts Spa's excellent treatment varieties: Classic Javanese Lulur, Couple Spa Experience, as well as traditional facial and hair cream bath treatments. Some spas even offer niche pre and post-natal therapies for mummies/mummy-to-be. Also, if you have an injury and wish to treat it with massage therapy, you can do it in Batam! Be sure to approach the friendly local therapists for the most approriate therapy based on your requirement and needs. After a long week of urban life's hustle and bustle, we all deserve a little time to relax, recharge, and re-energize! We have consolidated all the worthy Batam spa and massage centres for your ease of reference. You're welcome! Insider Tip: This is their second branch (first branch is at Sukajadi Batam, 2nd floor Clubhouse, Central Sukajadi). The Spa Central brand is rated the top 3 Spas & Wellness Centres in Batam by Tripadvisor. Recently opened in May 2018, the Spa Central Nagoya is extremely new and in pristine condition. 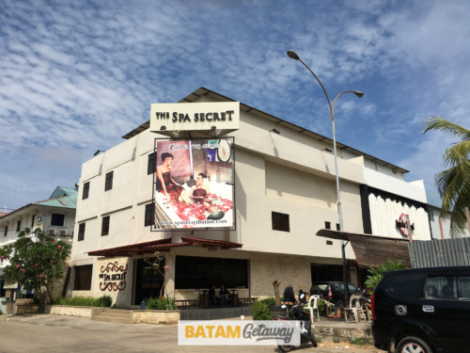 Insider Tip: One of the most established Batam spa and massage centres on the island. For those who are adventurous enough, try their 2 hours 30 mins Chocolate Spa. It even comes with complimentary ice/hot chocolate drink! We recommend clients to pre-book their treatment at least 24 hours in advance as they are often fully booked, especially on the weekends! Insider Tip: Value-for-money treatments! Masseurs were very professional with their service and massage. Nice ambience was another factor that customers have highlighted. Their four hand massage handled by 2 masseurs is definitely unique and a must try! 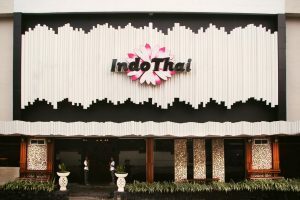 Insider Tip: Located beside The Spa Secret, IndoThai Massage is a slightly cheaper alternative. Their signature custom-made IndoThai mixed massage is a must try for those who can't decide whether to go for Indo or Thai-style massage. 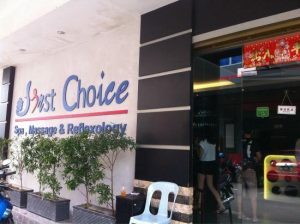 Insider Tip: Malaysia’s well-known brand Reborn Massage and Reflexology is now one of Batam spa and massage centres. They offer unique Chinese-oriented treatments such as Ba Guan (Cupping) & Gua Sha (Scrapping). Insider Tip: Martha Tilaar is one of Indonesia's household names for shampoo, scrubs, and wellness. This day spa is definitely ideal for ladies who would want some pampering to their skin & hair. After which, they can opt for a massage to complete their 'princess' treatment. Insider Tip: One of the most value-for-money batam spa and massage centres in Baloi/Penuin area. They have specially packaged their massage treatments to cater to the different needs for their clients. One of their best-selling packages is Tropical Escapade Package! 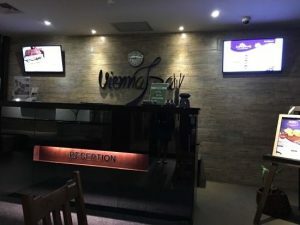 Insider Tip: Located within the vicinity of Da Vienna Boutique Hotel (insert Da Vienna Hotel link), Vienna & Spa Massage is a must visit for those who are looking to enjoy their massage treatment without bursting their budget. This spa also has a special massage for ladies who are pregnant. Their special “Lomi Lomi Massage” is a must try! Insider Tip: One of the most luxurious Batam Spa & Massage centres you can get on the island. You will feel like a royal upon entering massage centre! They have private villas catered for couples who prefer to have their massage together! Their speciality will be their 20-fingers massage by 2 masseurs who will simultaneously massage you. For more details on Montigo Resort, you can check out our Montigo Resort review. Insider Tip: Tea Tree Spa in Holiday Inn Resorts is a destination spa! You will need to pre-book your massage treatment in advance especially if you are going during the peak season. Their in-house 90-min massage and 30-min scrub is a must try! 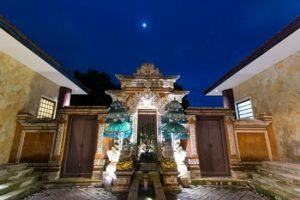 Insider Tip: For those who are looking at a complete day spa in Batam, look no further, Tempat Senang Spa Resort & Restaurant is the perfect choice! Rank #1 in Batam on Tripadvisor, it is the perfect choice for singles & couples who would like to immerse themselves in natural spa. Their open-concept spa treatments are definitely an eye opener. They even have thematic room types (Bali, Borneo, China, India room etc) for those who would like a night stay.